AT&T Regional Director Ty Fondren (right) discussed the company's "It Can Wait" anti-texting and driving campaign with members of the Auburn Rotary Club. While geared toward teenage drivers, the campaign's "It Can Wait" message encourages drivers of all ages to take the pledge to never text and drive. The campaign includes visual awareness items and video testimonials of those affected by or involved in texting-related fatalities. 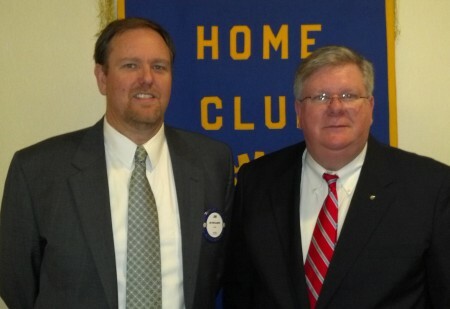 Pictured with Fondren is Club President-elect Jim McLaughlin. Learn more about the campaign at www.itcanwait.com.